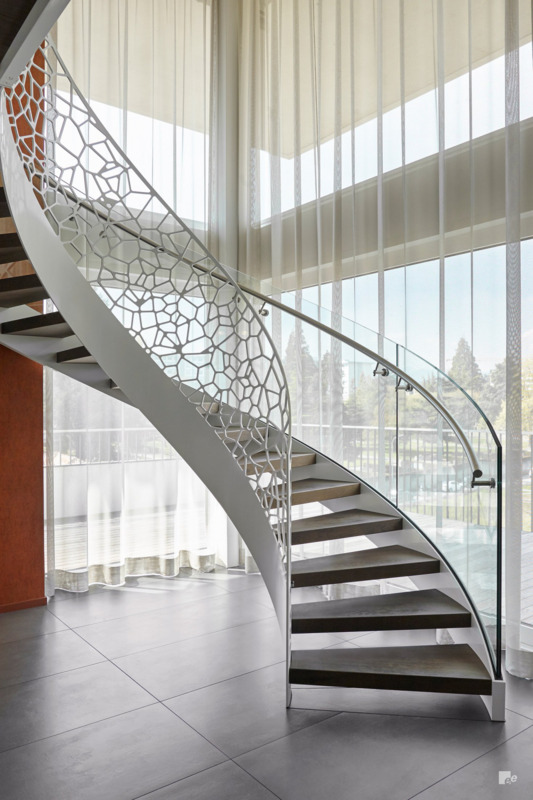 EeStairs was approached to produce a statement staircase for a bright, luxurious property that offers beautiful views of the Swiss city of Geneva. 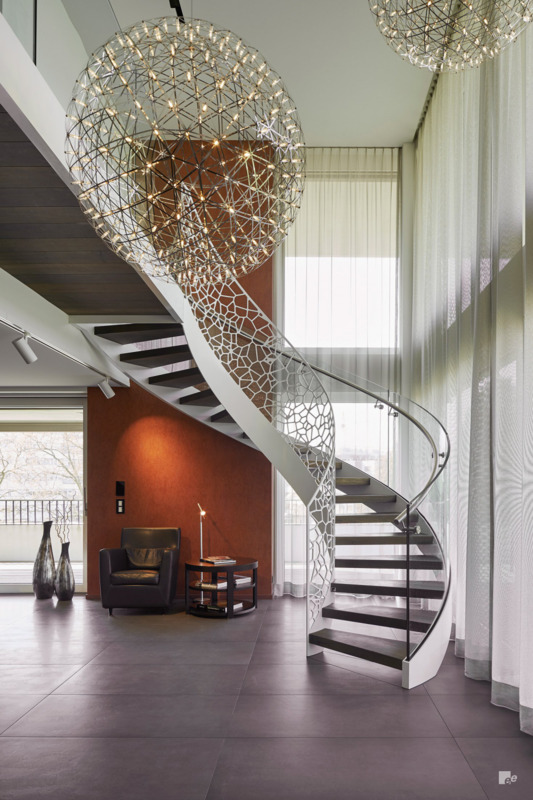 Unusually, the helical staircase features two different balustrade designs. 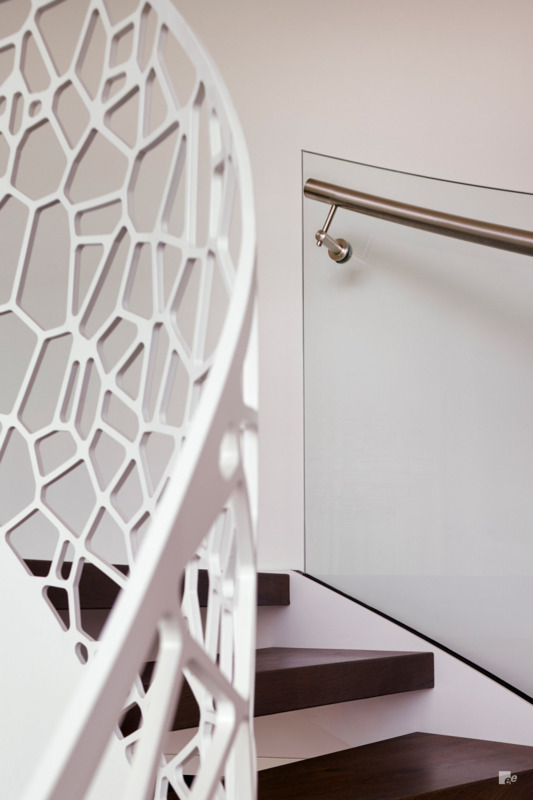 A glass balustrade on one side allows light to travel through the stair, while a Cells balustrade on the other gives the staircase a unique appearance - something that the homeowners wanted to achieve. 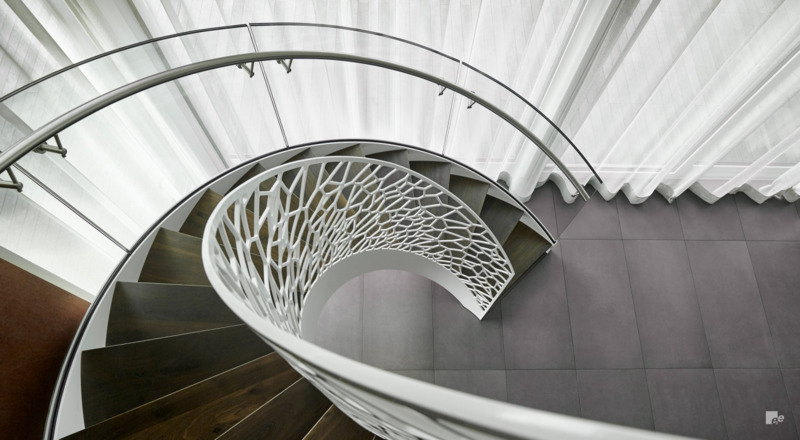 Finished in white powder coat paint that contrasts with dark wood treads, the staircase features a large ‘semi-floating’ landing at its peak, where it opens up to the hallway on the home’s upper floor.